There is only one right interpretation, God's. Everything else is only shades of gray. 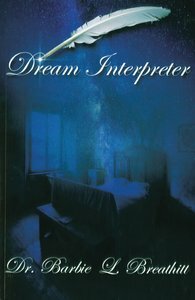 Dream Interpreter will give you skill to correctly decipher the symbolism of your dreams. Dream Interpreter decodes symbols, types and shadows of images from a heavenly perspective in order to reveal the hidden mysteries that are contained within. Dream Interpreter will help the reader translate spiritual perceptions and happenings to accurately discern the events of the night. The gifted dream interpreter can decipher, convert and transform a concealed secret and then develop a blueprint for prosperity. You can learn to understand the evolution of vivid visions and dreams, the graphic picture language of nightmares and night terrors that come to visit and present truth about one's life. As a wise counselor or life coach, dream interpreters fashion destiny bubbling up from the depths of the person's soul-potential to successfully guide the dreamer.